Yes! I’m writing about the most popular YouTuber, Vlogger, Artist, Author, and Filmmaker. 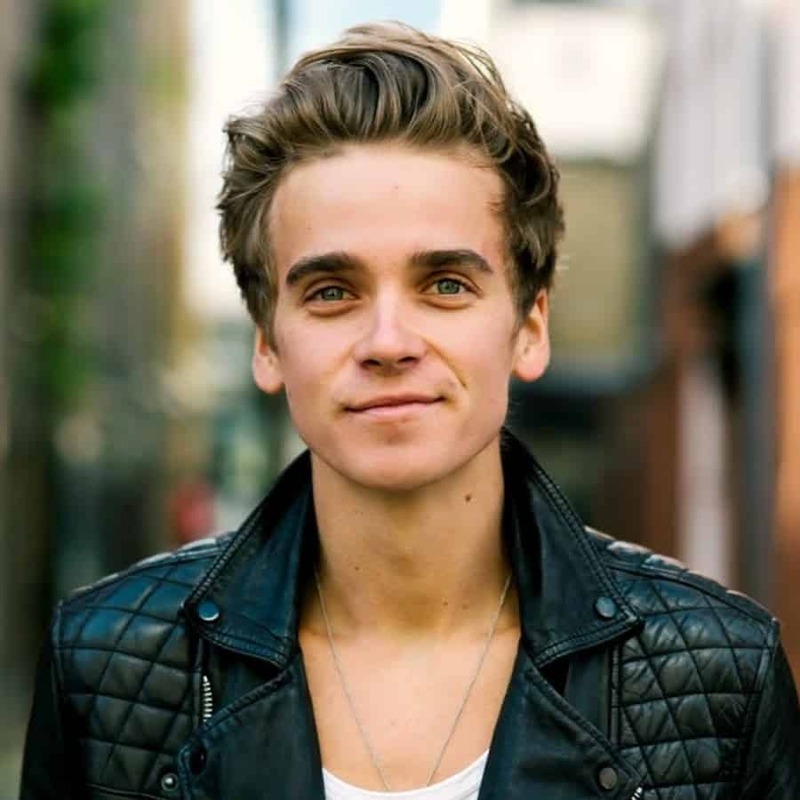 His name is Joseph Graham ‘Joe’ Sugg. He is mainly famous because of his YouTube Channel ThatcherJoe. He has two more YouTube Channels ThatcherJoeVlogs and ThatcherJoeGames. He earned over 8.2 million subscribers from ThatcherJoe, over 3.7 million subscribers from ThatcherJoeVlogs and over 1.8 million subscribers from ThatcherJoeGames. This YouTube content creator is well known for his exclusive pranks, crazy challenges and charm impressions. Having more than 13 million (in total) of fans on YouTube, Twitter is his another gig for capturing tons of fans attention. To get that level of fame he did all sort of crazy stuff which attracts viewers not only from the UK, he captured attention all around the world. He was featured many news and media, for example, he gave an interview on BBC UK. To know about this all-rounder famous guy, a must have to go through all of his videos. The SpongeBob Movie: Sponge Out of Water was another big thing done by Sugg, he did a Cameo voiceover. He also appeared in a television show Release the Hounds. He was always being a shy guy during his school days, he expressed his confidence in front of a camera give him the spirit to do something he loves. According to Wikipedia for Comic Relief, Sugg became a member of the group YouTube Boyband who raised money and was featured in The Guardian. Being a part of the Band-Aid 30 charity supergroup, he also featured on the 2014 single “Do They Know It’s Christmas?” to raising money for the Ebola virus epidemic in West Africa. As I mentioned earlier Sugg has also associated with Television and Films. Sug made an uncredited cameo voiceover as a SEAGULL along with Caspar Lee (his flatmate), comic Alan Carr and singer Stacey Solomon for the film The SpongeBob Movie: Sponge Out of Water. He and Caspar Lee appeared in the direct to DVD film Joe and Caspar Hit the Road, the show appeared in April 2016 on the British television channel. Because of the 1st DVD hit, they released their 2nd DVD in 2016. On 2nd March 2017, the episode of Release The Hounds aired on the British television starred Sugg along with his fellow YouTubers Alfie Deyes and Marcus Butler. In 2018 final of Strictly Come Dancing, BBC announced Sugg as a co-presenter of New Year Live alongside Stacey Dooley, the Strictly winner that year. Sugg knew he has a hidden creative talent that talent is he can be a creative author. That spirit of creating something new he wrote a graphic novel USERNAME: EVIE, it was published by Hodder & Stoughton in 2015. Written by Matt Whyman with artist Amrit Birdi, colorist Joaquin Pereyra and letterer Mindy Lopkin. It’s about a teenage schoolgirl Evie, who got bullied. 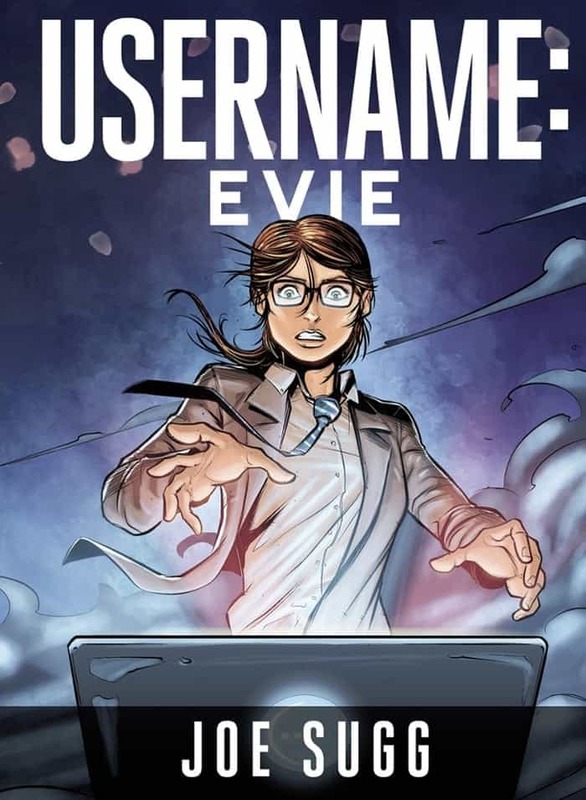 2nd graphic novel USERNAME: REGENERATED, was published in 2016, this is a sequel of USERNAME: EVIE. 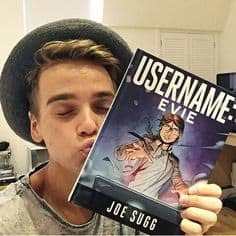 and after the success of past novels, Sugg announced another edition the 3rd and the final graphic novel USERNAME: UPRISING released on 21 September 2017. What you expect from USERNAME: REGENERATED A lot more depth in characters, a lot more look better, even add up new characters. Joe and Zoe introduced their branded merchandise in late 2016 named ‘Sugg Life‘. It’s a collaboration with THE CREATOR STORE, an Alfie Deyes and Dominic Smales company. Sugg life came out from internet meme and the most popular phrase by Tupac Shakur ‘THUG LIFE‘. Online Store has a huge variety of products including hoodies, stickers and phone cases. In August 2017 a pop-up store in Covent Garden was opened by THE CREATOR STORE, which sold limited edition ‘SUGG LIFE X PB’ for 10 days. The merchandise was a collab of Sugg Life and Deyes Pointless Blogs brands. In May 2018 Online Store closed its activities. I didn’t choose THe sugglife The sugglife choose Me !!! JOE VS ZOE singing competition video received 4.6 M, Alfie Deyes became the host of the competition. It was a fun competition between brother and sister and they called it SUG VS SUG. Of course, Joe was the winner but it was a fun watch video. Alfie was giving a word and SUGs have to sing a song which has that word. the first person who picks the mic first will get a chance to sing. Both of them had a tie till for the last winning word and Joe sang a song. Over 1.2 Billion views on his YouTube channel THATCHERJOE he has a tremendous following and kids are enjoying day by day. He’s not only stuck to YouTube, started his merchandise and yes he is the author of the creative graphic novel series “USERNAME”. We wish him the best of luck for his career.